Grandfather clocks are truly in many ways like human individuals. Each has its own personality, and where it is placed in the home or office, as well as the home decor or office decor surrounding the timepiece, give it a different look and feel. 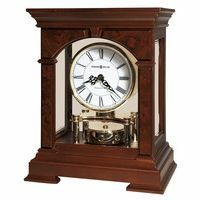 People can make a grandfather clock as much of their life experience as they choose. Most people keep them running continuously, keeping track of time by weekly windings. On special holidays, including New Year's Eve, people will watch the time count down by sitting around the grandfather clock, waiting for the full Westminster Chime or other favored tune, and on the 12th gong, they will ring in the New Year. 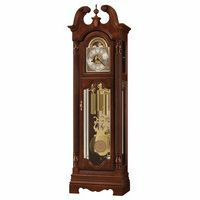 Here we post many of our best contributions from our Grandfather Clocks Blog, not necessarily in any particular time sequence, but ones we at 1-800-4CLOCKS believe will have interest or relevance to grandfather clock owners, those seeking to purchase a grandfather clock looking for the best grandfather clocks discounts, those individuals simply trying to understand the different styles of floor clocks (also known as tallcase clocks or longcase clocks or the shorter or smaller version known as grandmother clocks), or those looking how to maintain their clock, or even how to move their grandfather clock. Read and enjoy and learn, and we always welcome feedback. We are here to be your one stop shopping experience, whether you are looking for Howard Miller Clocks, Ridgeway Clocks, Hermle Clocks, Bulova Grandfather Clocks, Movado Clocks and more. 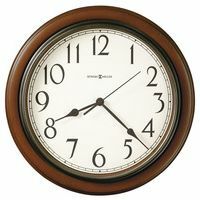 While grandfather clocks may be considered our specialty, we also love and sell wall clocks, mantel clocks (did you know they can be spelled mantle clocks too? ), atomic clocks, grandmother clocks, and so much more. Join us in this wonderful world of horology and timepieces.